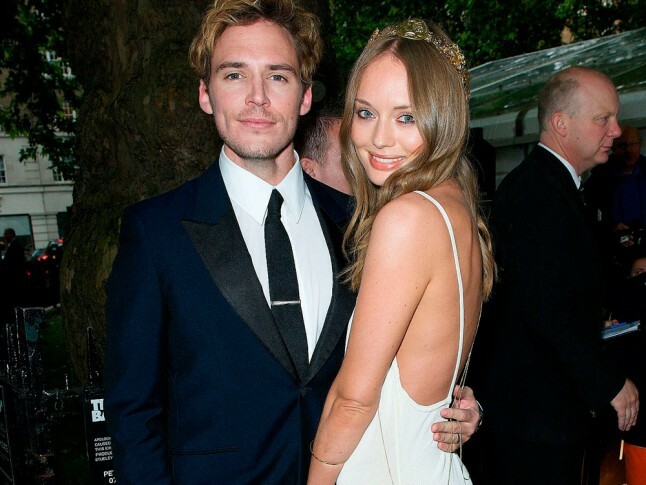 Hunger Games star Sam Claflin and wife Lauren Haddock are going to be parents. The couple revealed their exciting news yesterday (Nov.5) at the Hunger Games: Mockingjay Part 2 premiere held at Odeon Leicester Square, London, England. Without voicing it out loud, Sam was grinning from ear-to-ear and touching Lauren’s belly. Sam, who plays Finnick Odair in the Hunger Games movies, also took to Instagram to post a cast selfie. 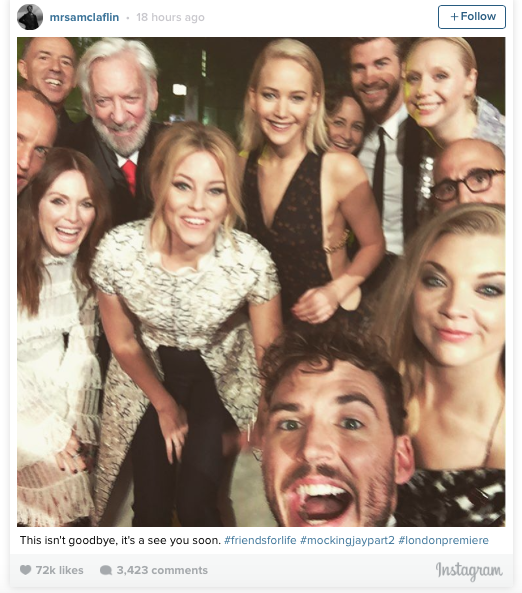 “This isn’t a goodbye, it’s a see you soon,” he wrote, adding the hashtag “#friendsforlife” in the group shot which included co-stars Jennifer Lawrence, Liam Hemsworth, Donald Sutherland, Elizabeth Banks, Julianne Moore and Natalie Dormer.